Experience KitchenAid’s KC2AS10 10 piece Cookware Set. It offers the practicality and style that only nonstick aluminum cookware delivers. 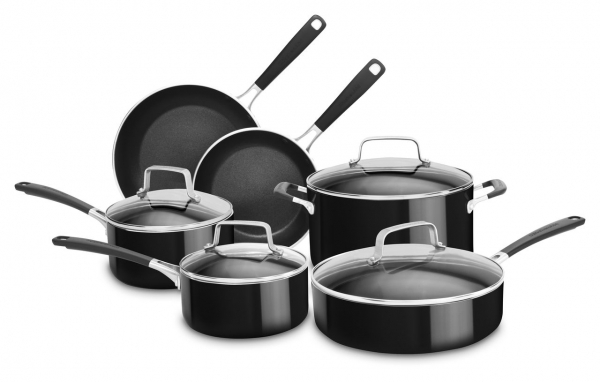 This Aluminum set includes 8" Skillet, 10" Skillet, 1.5-Quart Saucepan with Lid, 2.5-Quart Saucepan with Lid, 3.0-Quart Saucepan with Lid and 6.0-Quart Low Casserole with Lid. It comes in two colors, Onyx Black and Empire red.